Có nhìu sprite của D/P/P. Cốt truyện: Bạn hoàn thành khóa huấn luyện ở trường Huấn Luyện Viên. Bạn đang ăn trưa với bố thì giáo sư Rowan đến và nói với bạn rằng ông ấy có một ng` bạn cần giúp đỡ bằng cách loại bỏ những bông hoa kỳ dị ở vườn ông ấy, ông ấy muốn bạn đi và xem xét chúng và mang chúng trở lại cho giáo sư bất cứ thứ gì mà bạn thấy dc. Bạn đến đó và thấy những bông hoa, sau khi khám phá chúng, bạn sẽ thấy tìm thấy một bông hoa nhỏ không giống những bông khác, bạn đã mang về cho giáo sự Rowan và phát hiên ra rằng giáo sư không hề hiểu biết thực vật mấy, vì thế bạn đã đến tìm giáo sư Elm, người mà đã đánh bại Elite 4 của Sinnoh. What you need ||Who am I? Những gì bạn cần | | Tôi là ai? Whats gonna happen? Whats gonna xảy ra? You start the game as pokemon champion Ash Ketchum, or Gym Leader Misty in your hometown of Pallet, were the brand new harbour has just been finished building. Bạn bắt đầu các trò chơi như pokemon Champion Ash Ketchum, hoặc Gym Leader Misty của bạn ở quê hương của Pallet, là những thương hiệu mới bến cảng đã được hoàn thành xây dựng. You decide to be one of the first to board, so you pack up your stuff. Bạn quyết định là một trong những ban đầu tiên, do đó bạn pack up của bạn. Prof Oak finds you to tell you your Pokemon had an egg! Prof Oak thấy bạn để cho bạn biết Pokemon của bạn có một trứng! It hatched not long after it was layed, you take the baby Pokemon and travel to the Johto region. It hatched không lâu sau khi nó đã được bắt, bạn nên tận dụng con Pokemon và đi du lịch đến các khu vực Johto. This is were the journey begins! Điều này đã được bắt đầu hành trình! • Player talks. • Player nghẽn ". • New rivals, and Old. • Rivals mới, và cũ. • Familiar faces. • Familiar khuôn mặt. • Some changes to maps, some may big big, others smaller. • Một số thay đổi cho bản đồ, một số tháng năm lớn lớn, nhỏ hơn những người khác. Click here to view. Bấm vào đây để xem. Any help will be apreciated. Bất apreciated sẽ được giúp đỡ. Any 'full time' workers will be greatly apreciated. Bất kỳ 'toàn thời gian, người lao động sẽ được rất nhiều apreciated. Last edited by HKC; 07-11-2008 at 10:49 PM. anh em tự xem bài nhá ? có gì thông báo sau ? các mod đừng lock bài em ? 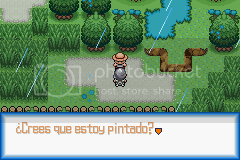 Se dice que el universo fue creado por arceus...pero como fue creado arceus??? Kaizer-X is the rightfull owner. father and find out the various abnormalities within the region. assistant and the other team members. Together, you see the legendary pokemon, Darkrai, being pursued by members of the unknown organization. Last edited by o0RainBow0o; 27-04-2009 at 05:19 PM. đây là bản hack của pokemon pearl mà tui mới lượm được anh em thử chơi nhé !!! You're a kid from Kanto. You think now: Ahh, again boring Pallet town. No, no. It became important national research center. You will be able to find out. Esta historia comienza hace aproximadamente 300 años, cuando shinnoh y Khann formaban parte de una sola region. Los conflictos internos eran frecuentes en esa época, hasta que un día desapareció un objeto indispensable para la vida en la region, la piedra mágica como la denominaban los aldeanos. Debido a la falta del objeto,los pobladores de la zona oeste de la region declararon la guerra a los de la zona este creyendo que éllos la habían robado; pokemon y humanos batallando entre si en una guerra sin sentido. Cuando las malas noticias fueron transmitidas a Arceus, este mismo intervino separando la region en dos mitades, la zona este de un lado y la zona oeste del otro.Pero las batallas por agua y aire no se hicieron esperar, era un conflicto interminable que solo podría solucionarse recuperando la piedra mágica. 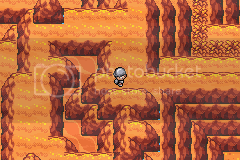 Fue así como un grupo explorador encuentra el objeto perdido en las manos del equipo Golden,el lider del grupo consigue recuperar la piedra y se la lleva a Arceus para encontrar un lugar adecuado donde esconderla. Arceus, esta vez, decide guardarla en lo mas profundo de la cueva Elhiam, ubicada en la region Elhiam, dicha cueva estaba cerrada bajo 5 llaves, cada una de las llaves se le fue entregada a un guardián para protegerla. En la actualidad, el equipo Golden, se reintegra después de 300 años de inactividad y amenaza con robar la piedra mágica. a consecuencia de ello se forma como en aquella vez un grupo explorador liderado por ti, tu mision es detener al equipo Golden antes de que se desate otra batalla sin fin. La aventura empieza escogiendo entre chico/chica. Acabas de acabar tus estudios a los 14 años y llegas en la región de Dovermont de vacaciones de verano. 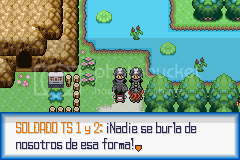 Decides emprender una aventura pokémon, pero, te consideran demasiado pequeño. Tu gran "astucia" te hace venir una idea, para "despistar" las personas que no te dejan salir o empezar tu aventura. Last edited by Sal; 06-06-2009 at 10:43 AM. Hiện tại server upload hình ảnh ko vào được nên mong mọi người thông cảm. Hình ảnh khá, 3 con starter là PIPLUP, TOTODILE VÀ MUDKIP. 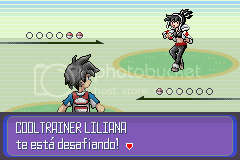 Pokemon nhiều, từ Kanto -> Sinnoh. Hiệu ứng tuyết rơi khá đẹp mắt. Last edited by Sal; 15-06-2009 at 06:04 PM. One day in july 27th.. Your brother brandon from patelburg city gym..he sends you a latter.. On the latter it says Hello (HERO/HEROINE) how are you doing? Today is your birthday right?your birthday is in july 27 isnt it? well then happy birthday! There is friend of mine in the same town you live.. So just roam around and you will eventually find him.. 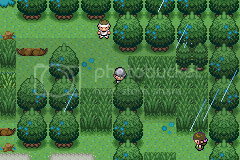 When you find him (WHICH BECOMES YOUR RIVAL LATER ON IN THE GAME) tell him this: Brandon said you need to get to hoenn..
the prof explains what happens with the generator-The generator only detects pokemon the ganarator doesnt detect any human..
and causes them to become dark pokemon. 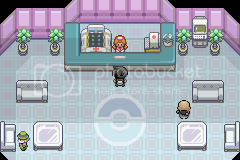 i wonder what is team rocket is doing with the generator? To stop that generator. only then the ganarator will be stopped. Trust me.. I have been a professor since i was 25.. and now i became old..
i would stop it myself. but i am too weak. now its up to you.. you can only go and ask DARKRAI or GARATINA if they will help. if not the ganarator will keep on making pokemon into dark.. and turn the world into a place of crime. there will be no justice. Xem chừng bản này có PKM D/P, cứ nhìn tượng con Darkrai là biết. Đáng ra là phải patch, nhưng tớ patch sẵn cho mọi người đây. Last edited by Sal; 07-06-2009 at 03:39 PM. - New Events, Scripts and translation. 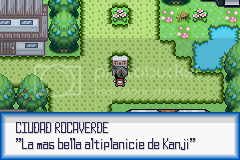 - PokéNav 2.0 With Phone and the Kanji region News via "E-Mail". 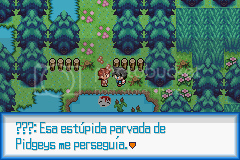 Tamagotchi, El Profe & Guille (A spriters of PokémonStats forums), Anna_Kymoyama, Xiros, Lex. Kyledove, Saurav, Don Patch[/b], Dan!x/Numus, Forgotten Memory & Lex (Me). In a region called Kanji, a couple of friends. Sahori and you find in a small forest a couple of Naetles, and decided to refer the teacher Kagome, mother of Sahori, and there begins the adventure. 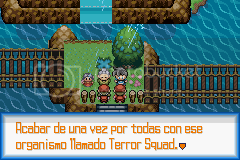 Moreover, the Terror Squad has Kanji, to seize the most powerful Pokemon that exists. 8 new Gym Leaders. 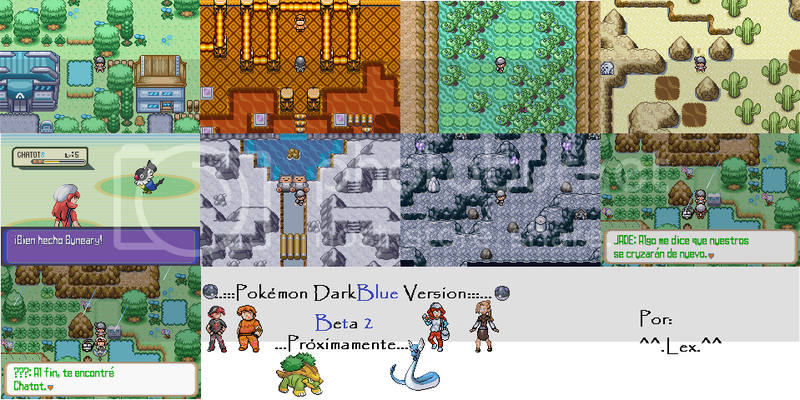 3 new rivals, and some of the Pokémon Sinnoh region, will appear in this great adventure. There is no specific story so it's same as in pokemon crystal. Also there are no new scripts but there are still major changes. Pikachu has 3 evolutions ! Pokemon that normally can't learn for example HM Cut or Fly can learn it now (for instance Heracross and Magnemite can learn fly and Meowth and Nidoran can learn Cut, also some fire-type pokemon can learn Flash now). Every pokemon needs higher level to evolve since you get high level pokemon soon as in my other hacks too. 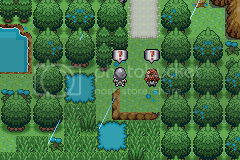 Also pokemon like Machoke, Kadabra, Graveler and Onix are able to evolve now without trading. -There are probably bugs like: "Bulbasaur can learn TM Flamethrower"
Kyle, a boy living in the region of Hokum is called the day he hits 10 to Proffessor Kip's Pokemon lab. 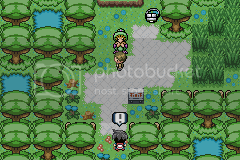 Kip has a job for Kyle, he needs Kyle to deliver the Pokemon Eevee to Professor Oak in Pallet town. As Kyle makes his way to Pallet Town in the Kanto region he meets tough times, gym leaders, team rocket and familiar characters!! This may sound confusing but the events in Part Two happened before Part One, Part Two is just so you understand Part One abit more. Part Two is about Kyle's father Derek. Derek travelled across all the 8 islands of Hokum and defeated the 16 Gym Leaders in the Hokum Region. You play as him as you furfill his journey. This wont make much sence untill you complete Part One and Two but you have to travel to Hoenn to help Marc defeat the Nuron Rangers. This is the hardest in the series and will test your skills to the limits. 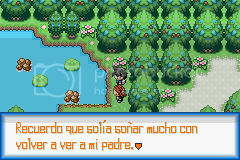 - Cross traveling between Hokum, Kanto, Johto and (when i get permission) Rijon. - Pokemon Centers have a third and (maybe) fourth floor!! 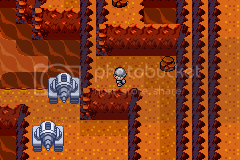 There are 4 battle halls in the Johto region: Beginner, Ameteur, Pro and Expert. 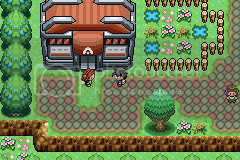 Battle Halls are buildings across the Johto region with Champions inside. You don't have to battle them but theyre good if you want to get noticed! !